Interesting to note all of them still closed around 1-2am. I thought they’d be going all 24-hour from that point? I think Southern Cross was the first to go overnight with a dirty feed relay from Channel 10 but I don’t know when it started. I guess as a preemptive strike against the inevitable protesters (in those days people got off their couches and picketed outside TV stations, not like the keyboard warriors of today! 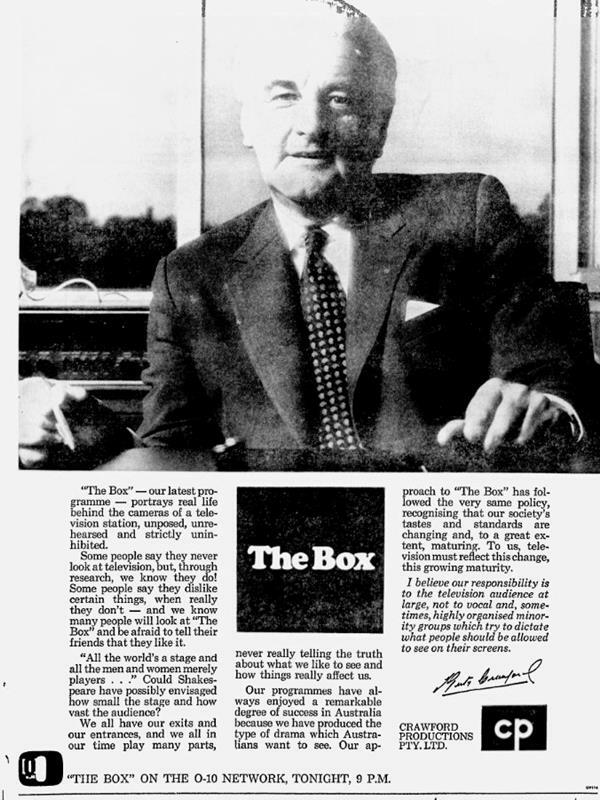 ), producer Hector Crawford took out full page newspaper ads to defend his new “adults only” soap. On Australia’s Action Station - Channel 0! 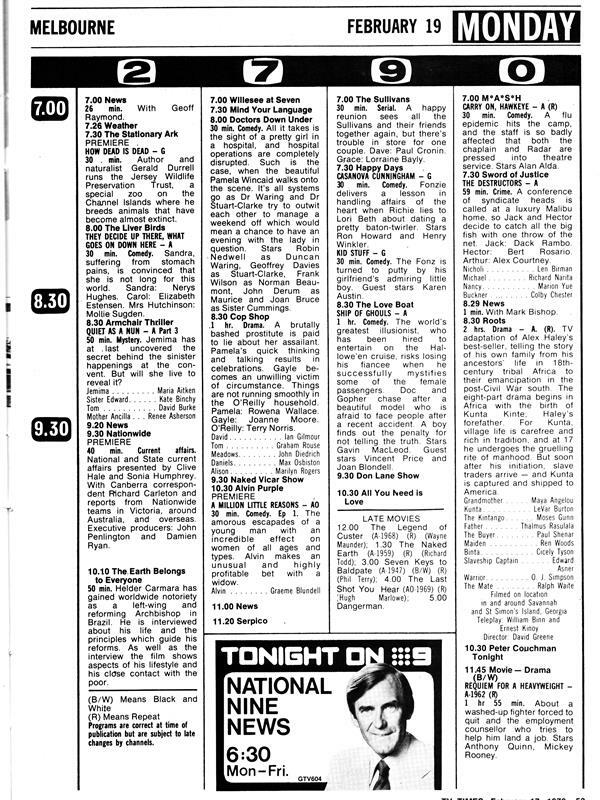 Interesting to note the inclusion of SBS despite it not broadcasting to Albury/Wodonga until August 1996. SBS was available in the neighbouring Wagga Wagga/South West Slopes region at that time. 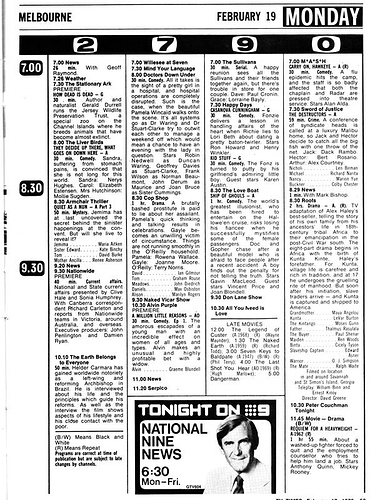 Also, the Albury-Wodonga region had a head start with aggregation in Victoria, as Prime did not transmit to all other regions until March of that year, and the transmitter problems plaguing Southern Cross in Shepparton and Ballarat for the first few years of operation. but I don’t know when it started. This highlights package was produced for broadcast on ESPN and other cable sports networks overseas. Unsure how long Seven persisted with it, I recall it was very obviously made for an overseas audience (presenter would read the full team name and read the scores out saying goals and behinds for each total). Think it ran until 7 lost the rights post 2001 on Australian TV, perhaps even running on a late night Wednesday format when Talking Footy I think moved to Tuesday in 2001. Not sure if a similar program continued to run post 2002 for the OS markets. 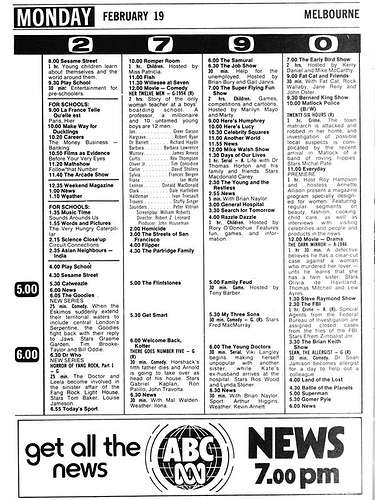 I remembered this one-hour highlights program, it was hosted by Anthony Hudson with Craig Willis reading the scores out. This highlights show is produced by AFL Media for overseas markets and will return in March. 4.00 Simon Townsend’s Wonder World! I presume it would be ATN7 because RVN’s sister station AMV took its news relay from HSV7 (at the end of the bulletin they list all the regional stations and translators taking it, AMV was one of the stations listed). Repeats of the 70s cop show Matlock Police begin in the mid-morning, starting from episode one from 1971, featuring a guest appearance by Sheila Florance. 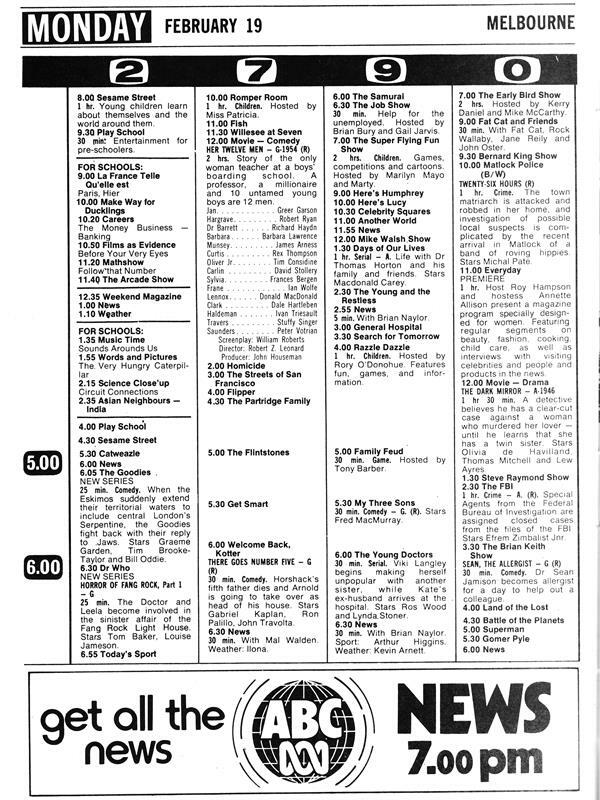 Everyday on ATV0 marks the return of the morning advertorials after The Roy Hampson Show was “rested” in 1978. Essentially the same show as The Roy Hampson Show and its predecessors but this time Hampson is accompanied by Annette Allison, a new signing for the channel from Brisbane. The pair would host together for a decade. The Goodies and Doctor Who return with new episodes on ABC. ATV0 begins a re-run of the epic 1977 mini-series Roots as a lead in to its new chat/variety show Peter Couchman Tonight. 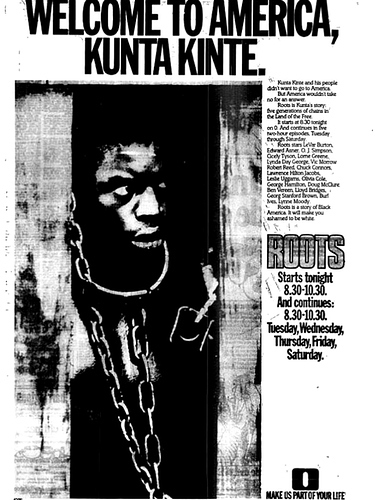 Roots would screen over six nights. 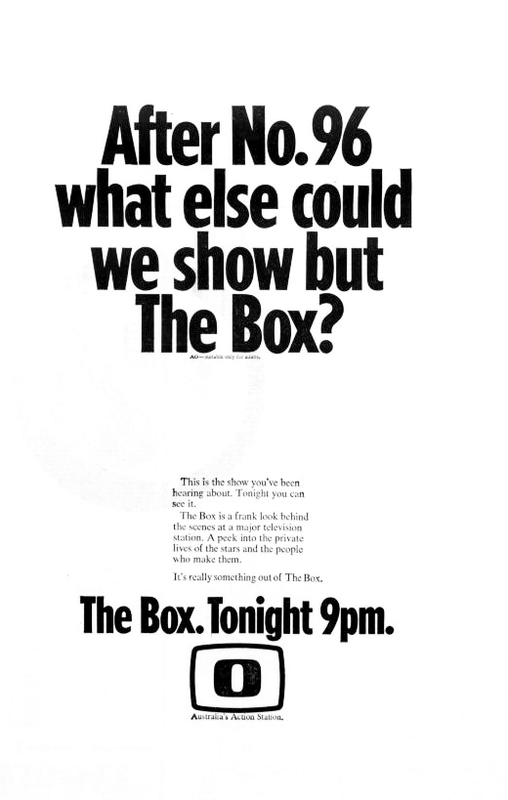 Clearly it was hoped that it would be popular enough to give the channel a kick start in the new ratings year and would also provide a chance to see the show again before the sequel Roots The Next Generations followed later in the year. 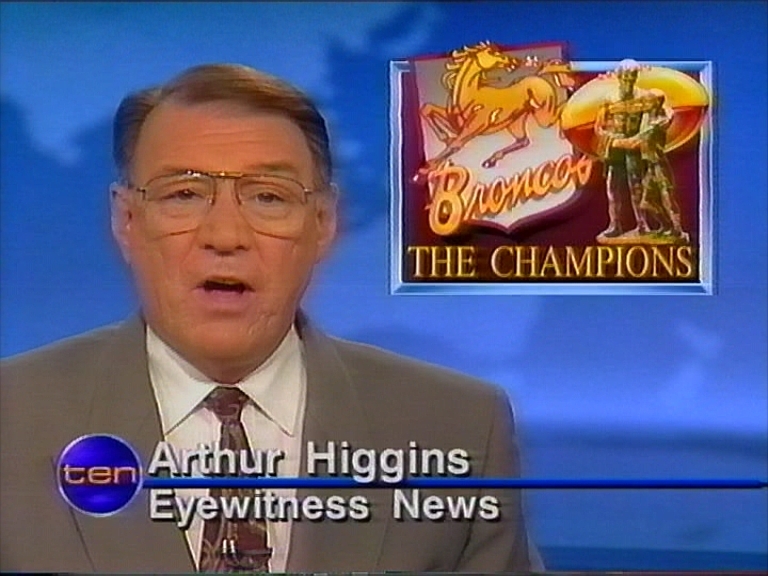 I didn’t realise Arthur Higgins presented sport on National Nine News in Melbourne in 1979. I only knew his role on ABC News Victoria in the late 1980s and early 1990s. Arthur had the most wonderful baritone voice for tv and radio, don’t hear many like him anymore. Arthur Higgins also read the weekend news on TVQ 10 Brisbane in the early 1990s. 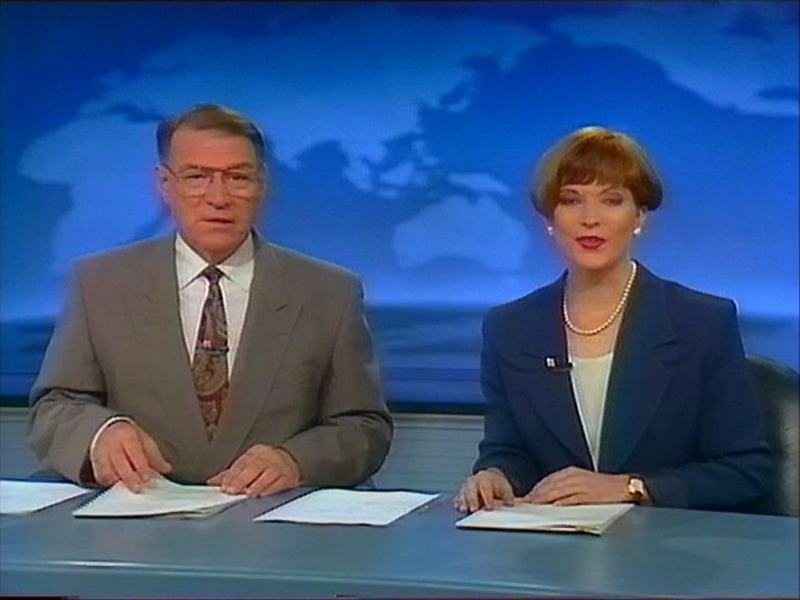 Here with Juanita Phillips in 1992.
anyone knows in which month of 1994 Ten Eyewitness News became Ten News? I think it was August, around Commonwealth Games time + the launch of national weekend 5pm bulletins.